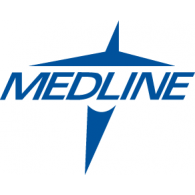 The Comfort Glide Rollator by Medline was designed with ultimate comfort in mind. 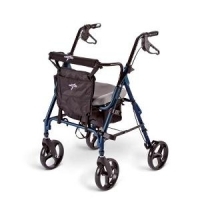 The large 8" wheels glide smoothly over most surfaces making it ideal for outdoor and indoor use while the fully padded Memory foam seat provides comfort and relief to wary users. Also includes a 15" x 9" under seat storage basket and convenient cup and cane holders. Comes in an attractive anodized blue color.